Remember when you couldn’t care less about what people from high school were eating for dinner? Or where a friend of a friend of a friend is hanging out? These were the simpler days before social networks like Facebook, Twitter and Foursquare swallowed the Internet and nearly a billion people. Now there’s a place where people can return to the days of not sharing everything. When thoughts were still private. When immediate attention for every act wasn’t so craved. It’s not online. 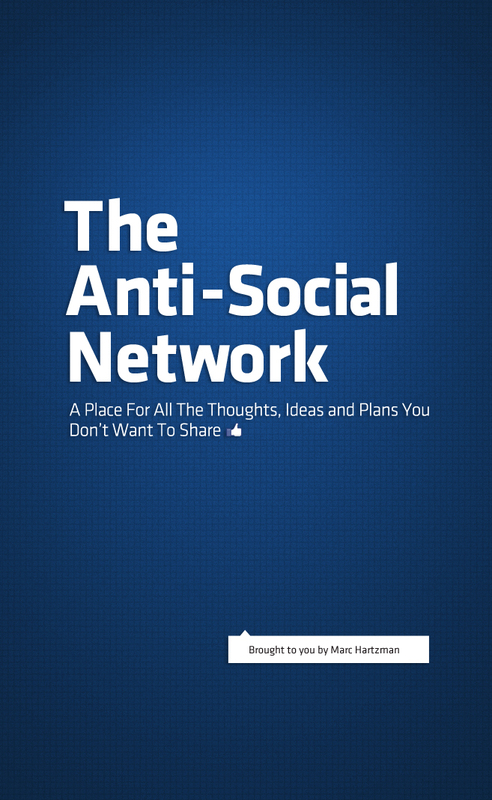 It’s in a book called The Anti-Social Network: A Place For All The Thoughts, Ideas and Plans You Don’t Want To Share. Inside are 200 pages waiting to be filled by you. It’s a journal of memories, a sketchbook of ideas, a sanctuary of thought. And privacy is only an issue if you lose it.